Taking things to scale doesn’t happen vertically through one-size-fits-all replication strategies. 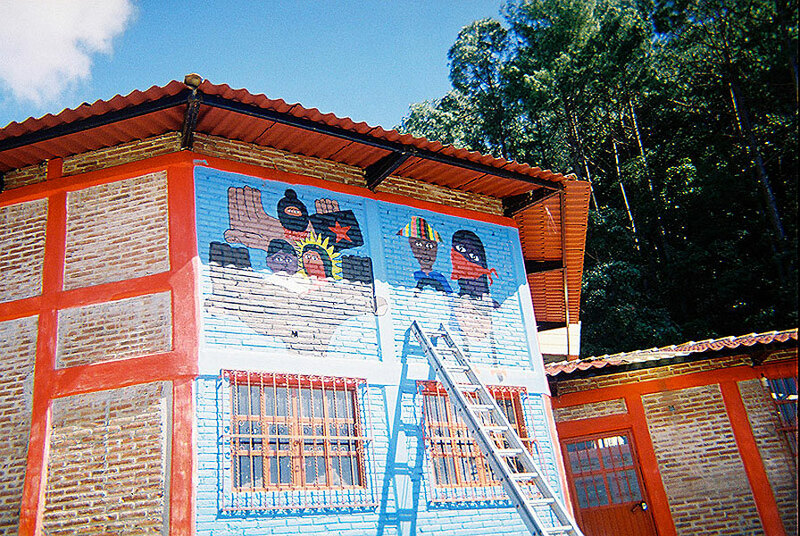 Visit Universidad de la Tierra, an alternative to institutional education, and the Zapatistas, a people’s movement for self-determination. In both places, there’s a deep, unshakable belief in the power of people to claim their right to live and learn as they see fit. Observe how their experiments move horizontally, scaling across villages and nations, trans-locally, as many diverse people learn from their discoveries and are inspired to try their own. Mexico has its metaphors all mixed up, you might think, as Drakula welcomes you to the Pirate Ship which is some sort of junkyard candyland where boys wander around like lords of the flies, and you’re certain you’ve fallen down the rabbit hole (or at least taken the blue pill). As we immersed ourselves in these stories from Mexico, Meg Wheatley was inspired to write this poem. CACITA (Autonomous Center for the Intercultural Creation of Appropriate Technologies) from the Mexico chapter of Walk Out Walk On goes on the road both in Mexico and Germany with La Ruta de Resistencia (Route of Resistance). Sergio Beltrán, co-founder of Unitierra Oaxaca, caught up with Drakula to ask him about his expectations for the tour, what they’re learning from their trans-local work in the region and how they’re applying that learning at home. Drakula talks about the work of CACITA and how bicimáquinas are spreading around Mexico.